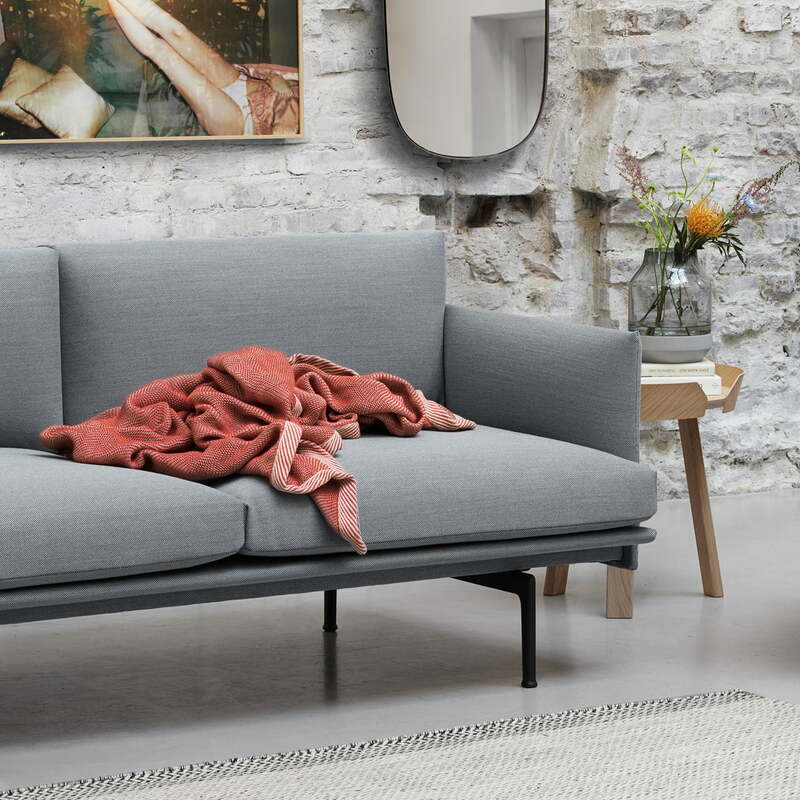 The Outline Chaise Longue sofa was designed by the designer duo Anderssen & Voll for Muuto. 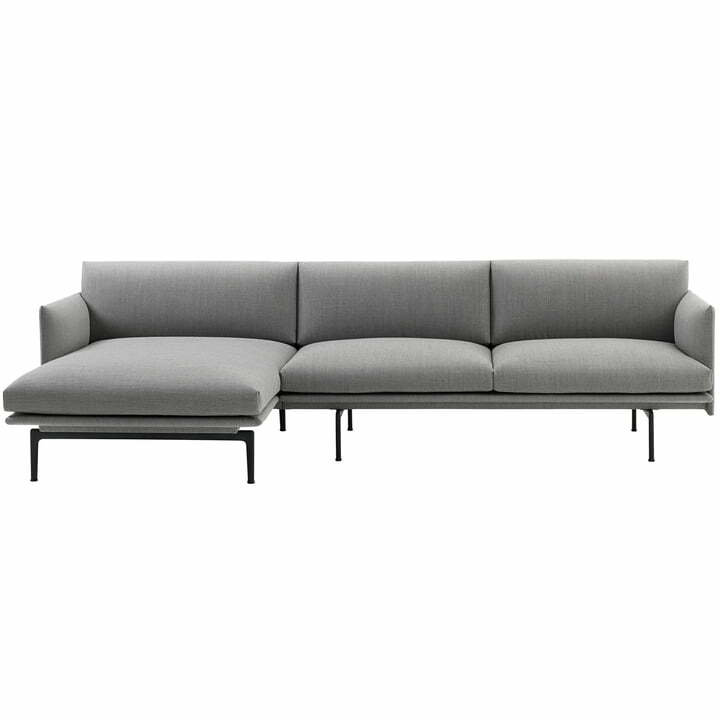 The aim was to create a sofa that impresses with both comfort and aesthetics and introduces minimalist Scandinavian flair into every home. The armrests, backrest, chaise longue and seat surface form a harmonious ensemble that radiates a certain tranquility and invites you to relax. The elongated form of the corner element allows you to put your feet up and enjoy the comfort of the soft padding beneath you. 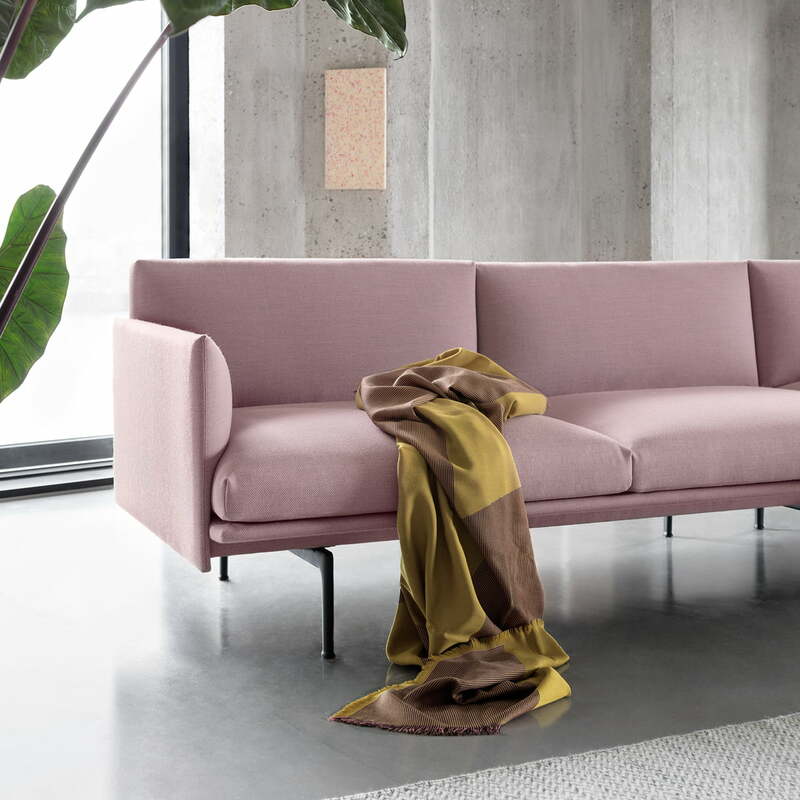 The sofa with chaise longue rests on slim feet made of powder-coated aluminium, which gives a certain lightness to the overall appearance of the furniture despite its generous dimensions. While the sofa frame is made of wood and steel, the padding consists of cold foam granules and feathers. Camo leathers and Kvadrat or Arve textiles are available for the upholstery. The Outline 2-seater’s upholstery is made of cold foam granules and feathers and for the fabric cover you can choose between leather and textile. In this case, the cover is made out of Cognac leather. 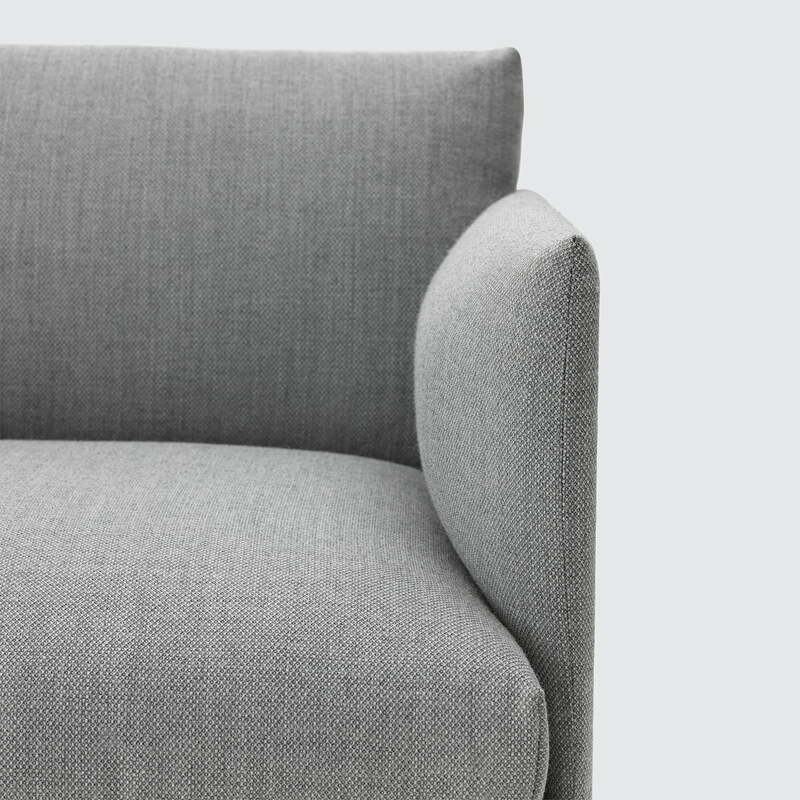 Detailed image of the Outline armchair designed by Muuto in light grey Fjord 151 fabric by Kvadrat. The slim silhouette of the sofa looks light and elegant. 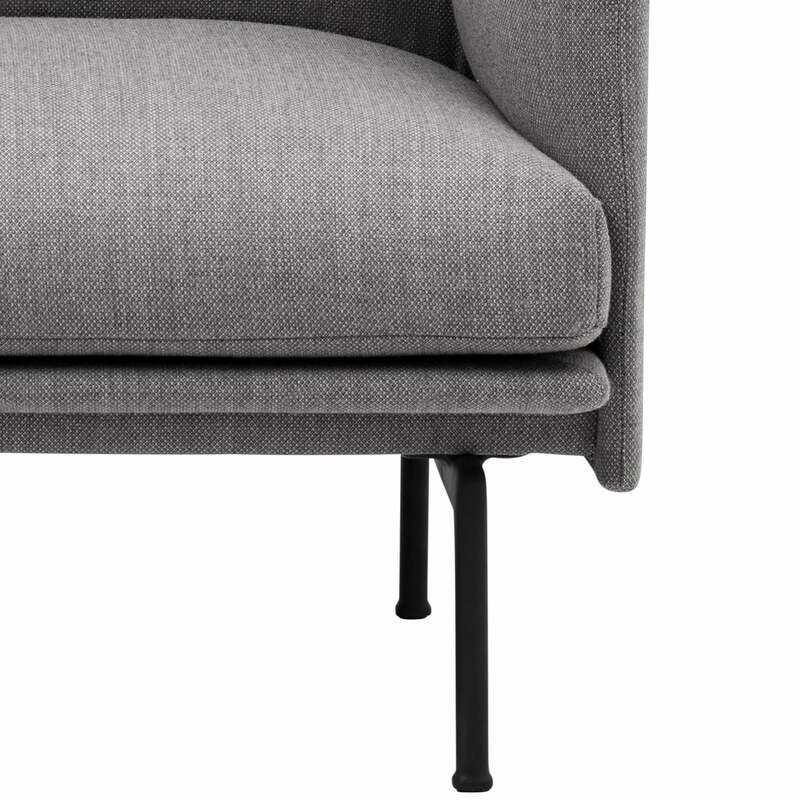 Detailed product image of the Outline sofa: The sofa’s frame is made of plywood and steel and is supported by four legs made of powder-coated aluminium. 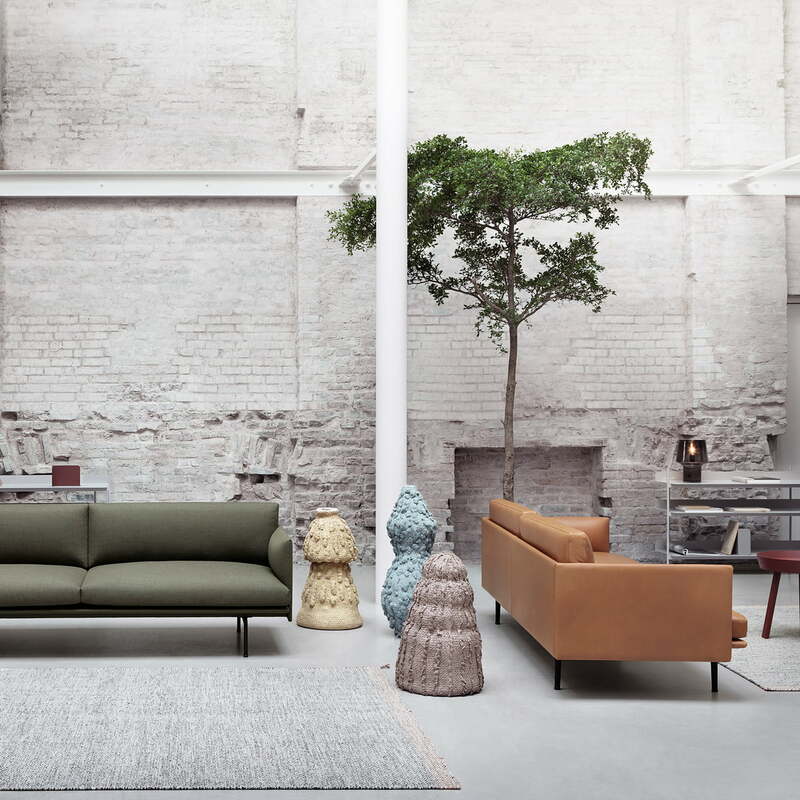 The ripple throw in red in combination with the outline sofa by Muuto in grey - in an ambient setting. The throw brings color in a more discreet home decor. 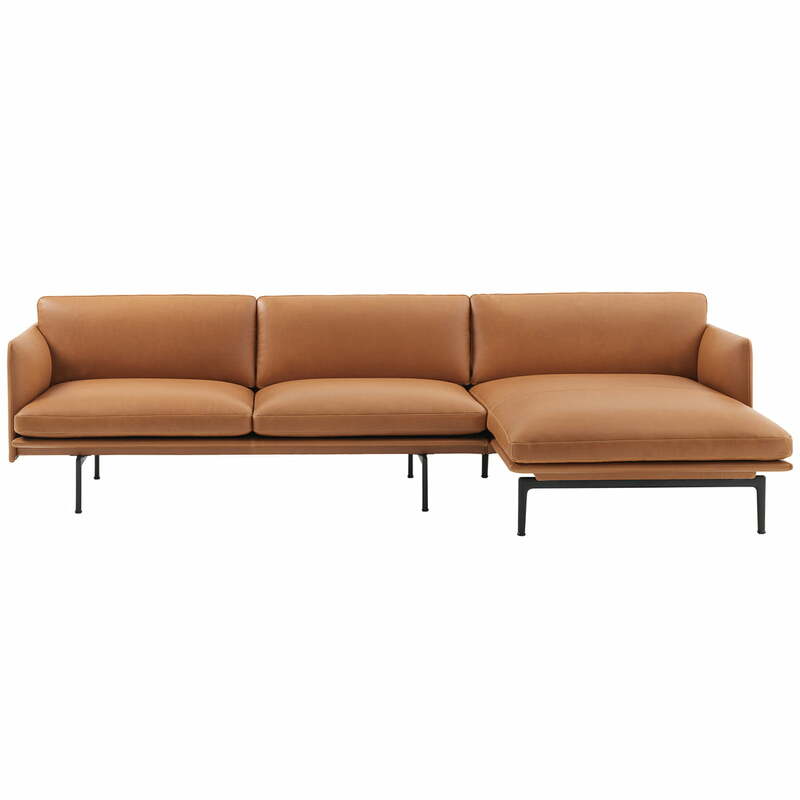 Ambient image of the Outline sofa by Muuto. The sofa here shown in the fabric and leather version. 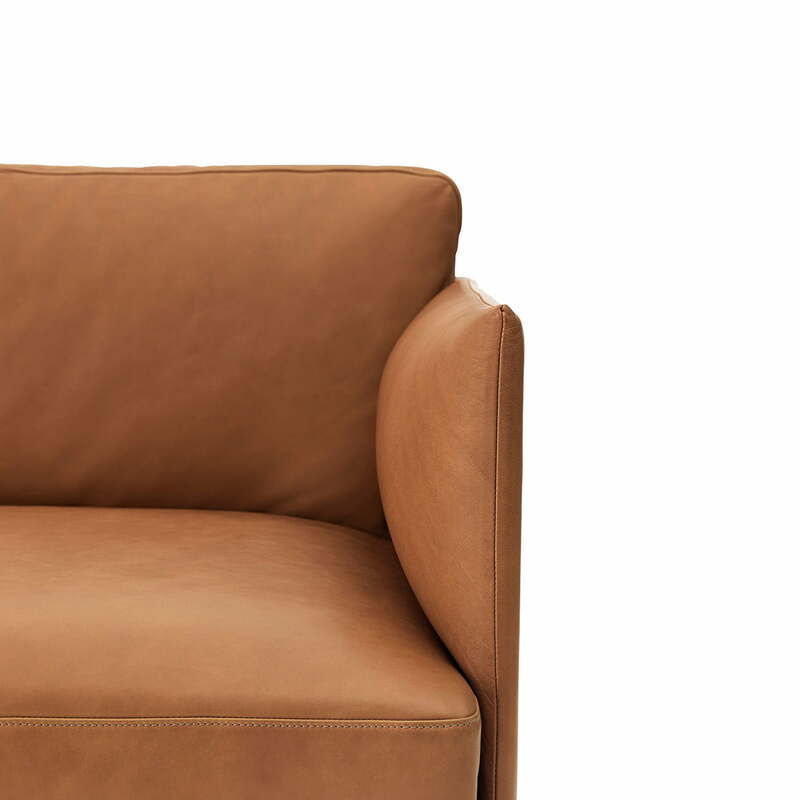 A comfortable sofa that has a strong architectural presence at the same time.